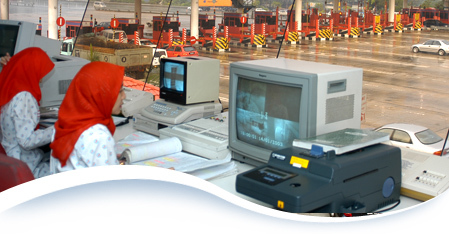 The two main toll plazas are situated at Batu 9, Hulu Langat and at Batu 11, Cheras with 22 lanes at each plaza. The large number of lanes was constructed for the convenience of road users to enter and exit the highway with ease as well as cater to high traffic volumes during peak hours. The Batu 9 and Batu 11 toll plaza each has 32 and 22 operating toll booths respectively and are equipped with two main toll collection systems - manual toll collection system or cash lanes and electronic toll collection systems such as Smart Tag and Touch 'n Go lanes.